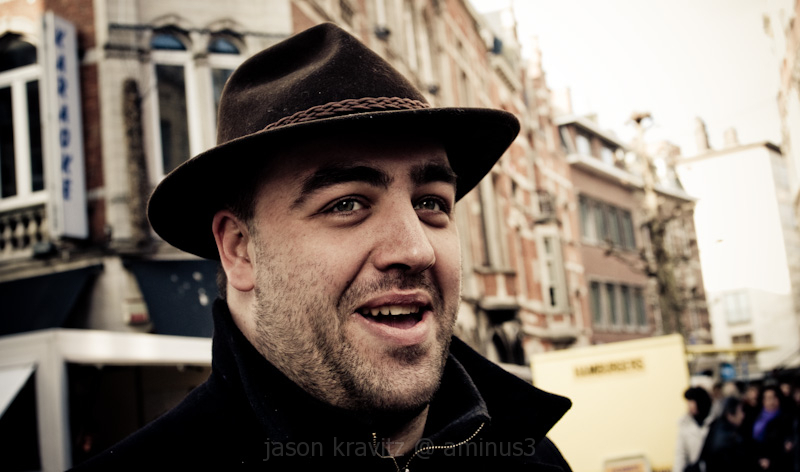 Jason Kravitz (Brussels, Belgium) on 22 April 2009 in People & Portrait. Please do not use any words or photos on this site without explicit permission. "Be infinitely flexible and constantly amazed"
I thought this could also be a great post to urban cityscapes (or the equivalent). I like the positioning of Geert. the sharpness of the foreground, and the alley drawing you into the frame. Well done. Great expression you've captured here. I smiled as soon as I saw it...looks like he is about to tell the punch line of a joke. Well done. Another great portrait - you've captured a happy character here. Great expression on his face.....he really looks happy.